Every fall when the players start to trickle into the Toyota Sportsplex on Coal Street, the AHL Penguins front office speaks of it's goals for the upcoming season. The answer is always the same, they want to develop young talent and move them up to the NHL, and they want to teach them how to win hockey games along the way. Judging by that formula, you could argue that the WBS version of the Penguins may have had their most successful season yet. 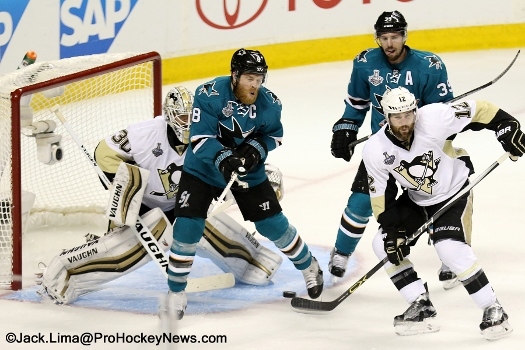 The Wilkes-Barre Scranton area is currently captivated by the Stanley Cup Finals going on right now for a few reasons. The first reason is obviously because the NHL affiliate of the hometown team is playing for the most coveted trophy in all of sport. The other is because they are watching young players who have spent the past few seasons skating in the Mohegan Sun Arena, earning the love and respect of fans with their style of play. Those young AHL stars aren't just taking part in the Cup Final, they have been key factors in helping the Penguins jump on the Sharks in Pittsburgh. Conor Sheary has a pair of Goals through 3 games including a game winner, and Bryan Rust also scored in Game 1. 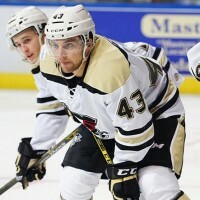 Let's not forget about Ben Lovejoy, who spent parts of 4 seasons in WBS, he also has a goal in the series. Oh yeah, then there is Matt Murray. The young stud goaltender who stole the show in the AHL last year has been rock solid between the pipes and is a few wins away from the pinnacle of the hockey world. 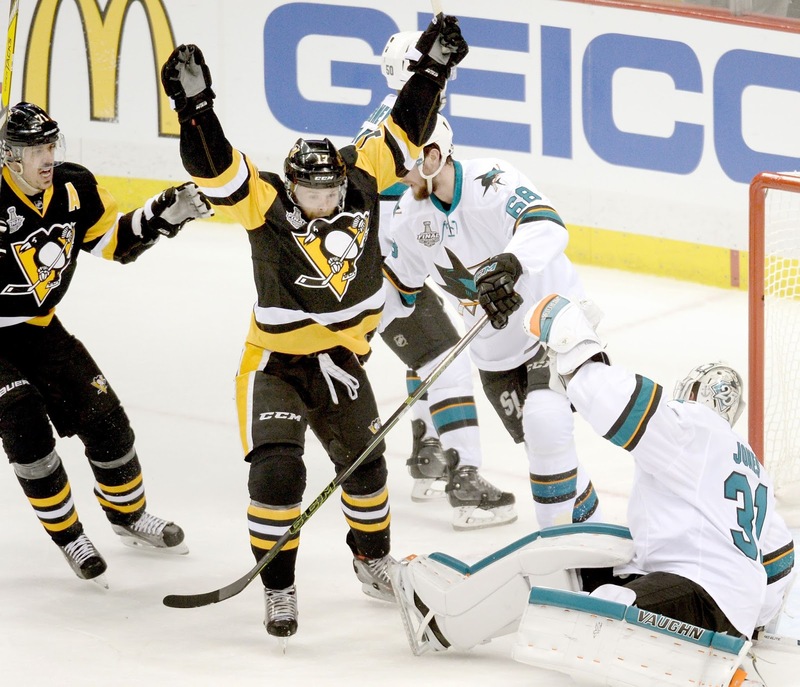 The Penguins accomplished their goal of teaching the young players how to win by clinching a playoff berth for the 15th consecutive season. That is the longest current streak in the AHL, and something the organization is surely proud of. Current Pittsburgh Penguin Head Coach Mike Sullivan laid the foundation for his success by starting the season in WBS and making it abundantly clear to his players what he was looking for. The WBS Pens went 18-5 under Sullivan before he enventually got the call to replace Mike Johnston in the NHL. They played about .500 hockey for the remainder of the season under Clark Donatelli who was promoted from the ECHL's Wheeling Nailers. He led the Penguins to a first round upset of the Providence Bruins in impressive fashion, winning all three game in OT. The AHL Pens would bow out of the Calder Cup playoffs after a Game 7 OT loss to the eventual Eastern Conference Champion Hershey Bears. No doubt the playoff run provided valuable experience to talented young players like Daniel Sprong, Jake Guentzel, and Carter Rowney. All three are on the verge of cracking the NHL lineup, and thanks to their AHL affiliate in Wilkes-Barre, you can bet they will be prepared. When you combine the fact that WBS advanced to a second round Game 7 and sent numerous players to the NHL to help a Stanley Cup Run it was another truly productive year for the AHL affiliate. The relationship between Pittsburgh and Wilkes-Barre has always been a good one, and during this exciting spring it's been easy to see why. Here's hoping to many more years of AHL Hockey in NEPA.